Nothing says spring to me like fresh flowers and plants. 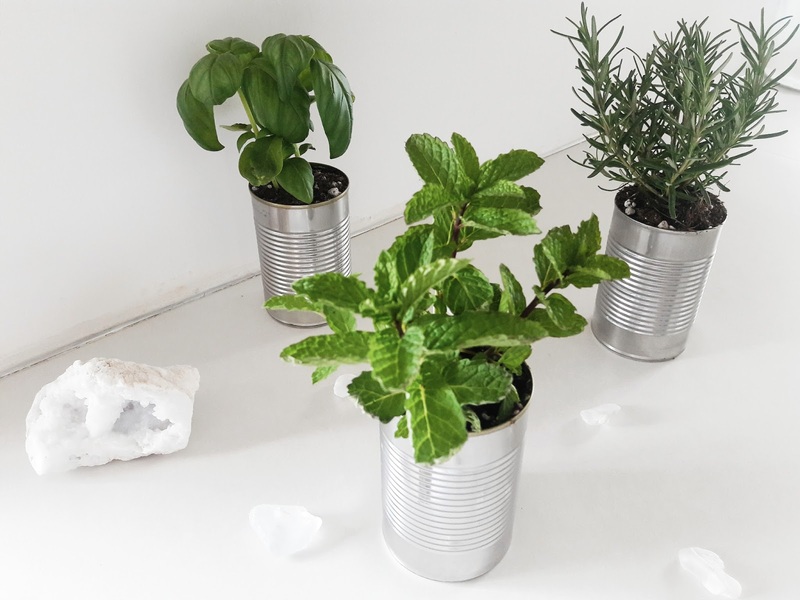 Our backyard is still under construction from when we moved in a year ago so I decided to bring a little herb garden inside using tin cans. 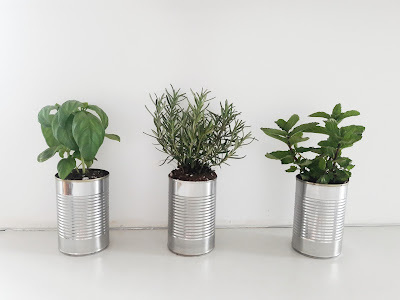 Collect your tin cans, I used two olive cans and a diced tomato can. Drill holes into the bottom of your cans so the soil can drain. 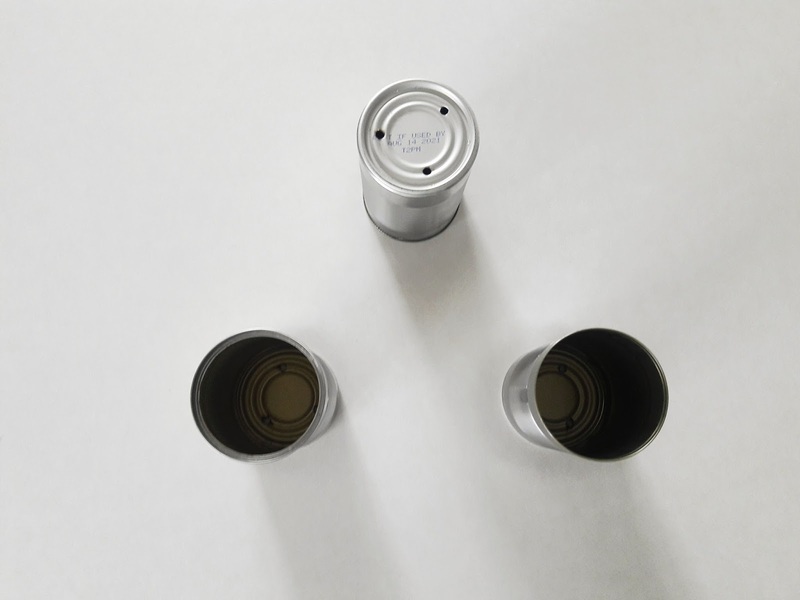 Remove labels, wash cans and remove any sticky debris leftover from the labels. Add a thin layer of potting soil to the bottom of your cans. Dampen the soil and roots of your plants so they are a little more flexible. Gently work the plants into the cans and add another thin layer of potting soil to the top. Erik and I love to cook dinner together and I love to use fresh produce. What could be more fresh than right from the dirt? 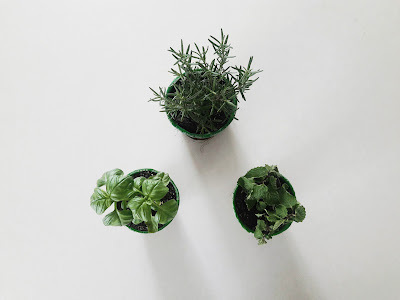 I choose three plants that I thought we would use the most. I am so excited to use these fresh ingredients during our cooking. I do not have a green thumb so if I can keep these alive I will definitely be adding more! 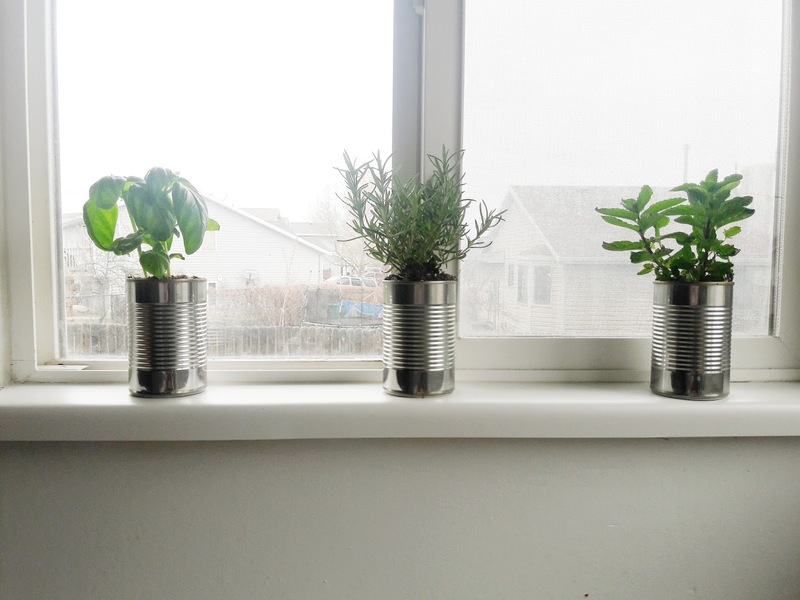 I placed our cans in the windowsill above our sink so they can get plenty of sun light and be easy to reach. 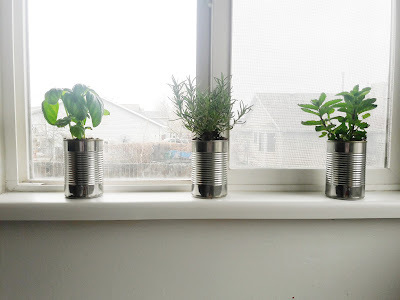 When I water them I take them down from window sill, place them in the sink, water them and and let them drain before placing them back in the window sill. This is a perfect way for people like us who don't have their own outdoor space to still have a small garden. Plus it was so easy to create! What are your favorite fresh herbs to use while cooking?